Video editing is an art, and you can become an artist in the craft with the Adobe Premiere Pro CC Masterclass. Video editing is a great skill to have, especially in this new media environment where visuals are needed to catch people's attention. 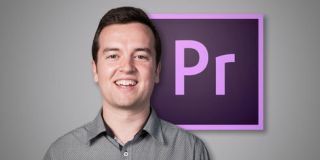 Adobe Premiere Pro CC is the tool trusted by professionals, and you can become one with the Adobe Premiere Pro CC Masterclass, on sale right now for just $21 (approx. £15)! Adobe Premiere Pro CC is the tool video editing pros trust the most. The best way to learn this tool is to go hands on, and this comprehensive course will help you get to work with this powerful video editing application. You'll find 59 lectures and over 5.5 hours of actionable lessons, that will help you pick up skills that will look great on your resume, or just help you put together some great videos for family and friends. The Adobe Premier Pro CC Masterclass usually retails for $200. You can get it on sale right now for just $21 (approx. £15). That's a savings of 89% off the retail price for a course that will have you editing video like an expert!